Putting courses are quickly becoming a favorite amenity of hotels, resorts and other communities. They can be integrated into both indoor and outdoor environments and provide a fun, safe activity for people of all ages. Designed as the signature feature for an International Golf Facility, this putting course is positioned around a central lake complete with "lazy rivers" so every hole on the course has water frontage. Natural vegetation and boulders will integrate with synthetics grass systems for both the putting surfaces and fringe areas with bunkers made from either sand or white turf. 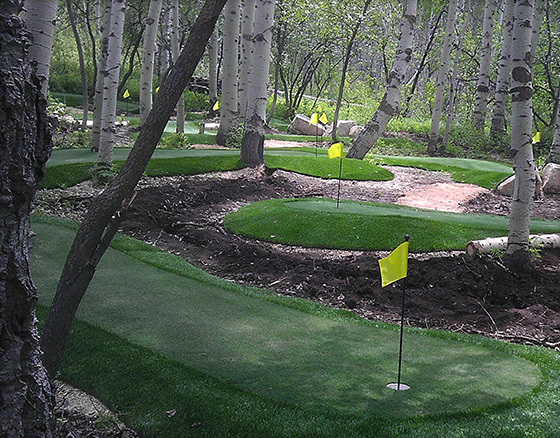 What may seem like an unusable wooded area can often be turned into an exciting putting course. 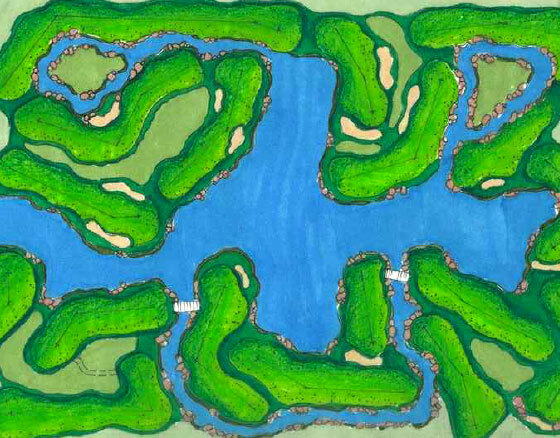 By designing around existing trees and plants, putting courses integrate with the environment and feature natural obstacles and contours that make for a truly exciting putting adventure. 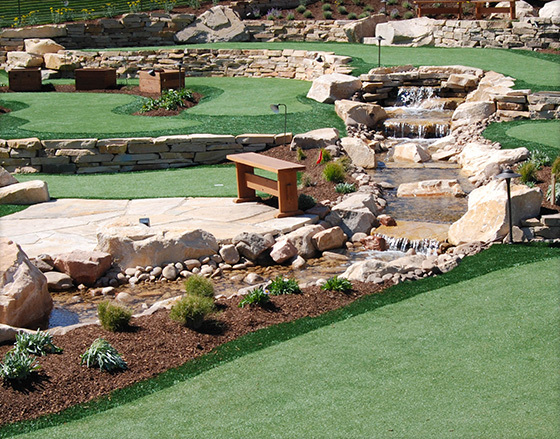 Carved into the side of a popular ski slope, this putting course blends into its environment with its native stone and boulders complemented by indigenous plants and a peaceful water feature. It is an awesome amenity for the ski resorts summertime guests. 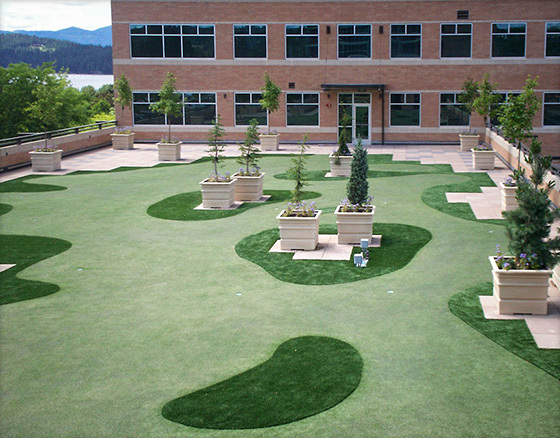 Synthetic grass putting areas provide an aesthetically pleasing and easy-to-maintain alternative to traditional rooftop gardens. By integrating pavers and potted trees, one can turn useless space into a tranquil environment with a fun activity.